A dislocated patella usually reduces on its own when the knee is extended. Most single incident dislocations do not require surgical procedures to stabilize the patella femoral joint. Stabilization of the patella femoral joint requires dynamic support from the muscles of the core and entire lower extremity. Placing an orthotic (shoe insert) into your shoe might help to stabilize the patella. Seek the advice of your Physical Therapist for exercise suggestions to treat your knee pain. A sudden change in direction whether in sports or simply due to a fall can dislocate the patella (kneecap). The knee buckles and excruciating pain grips the young athlete. Patella dislocation occurs when the kneecap slides out of place due to direct impact or a sudden twist in the knee. Proper care and treatment is essential for initial trauma and long-term health. 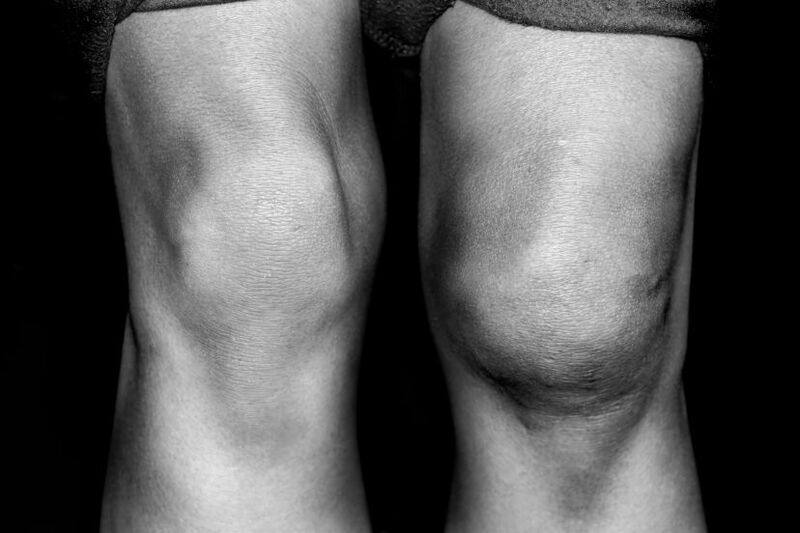 People who have suffered a dislocated kneecap at some time in their life are more susceptible to patella instability and painful conditions than those who have never experienced this condition. Patella instability often occurs after dislocation because the Medial Femoral Patella Ligament (MFPL) is damaged and is unable to help stabilize the patella from the medial side during its natural movement in the Trochlear groove (reported to be > 90%). This ligament provides the primary medial stabilizing force to the patella. Without that stabilizing force, the knee may buckle more easily, pain in the kneecap may accompany activity, and the patient may suffer from stiffness, creaking or cracking sounds during movement, swelling and even pain while sitting. Conservative treatments may be used to help stabilize the patella. If that does not work, surgery might be needed to reconstruct the MFPL. The patella moves up and down in the Trochlear groove of the distal Femur during any form of gait. When all static and dynamic stabilizing structures are healthy, the patella remains relatively in the middle of the groove: there is no pain to contend with at any time of the gait cycle. If the patella dislocates laterally and damages the static stabilizing MFPL, there is an intrinsic instability that develops and may worsen as time progresses. The MFPL is similar to any other type of ligament. Its consistency is more like leather than rubber bands. Therefore, if it is stretched or tears, it does not “rebound” to its natural length. Once stretched out or torn it cannot provide a stabilizing force to the medial aspect of the patella. The MFPL is located on the medial side of the patella femoral joint. The ligament is distinct and arises from the capsule and is located in the “second” layer of tissue that can be found on the medial aspect of the joint. It has attachments on the medial aspect of the patella, vastus medialis and medial femoral epicondyle. If the patella is dislocated when the knee is flexed (in a valgus position and the quadriceps muscle is contracting), there is an immediate sharp, debilitating pain and usually a collapse to the ground by the involved person. The patella usually reduces or returns to its natural position spontaneously when the knee is extended during the fall to the ground. In rare occasions, it may have to be reduced by a healthcare professional. A formal Physical Therapy program slowly mobilizes and rehabilitates the knee joint, helping the injured person to regain full motion and strength. If this treatment fails to provide complete restoration of a stable patella femoral joint, the doctor might perform surgery to repair or reconstruct the MFPL. Weight Bearing and braces: The patient will be non-weight bearing and have a knee brace on for a couple of days to let the joint calm down following the surgery. The surgeon will determine transition time from partial to full weight bearing in the brace. The patient will need to use crutches until they are permitted to transition to full weight bearing. Pain: Everyone has a different pain tolerance. In most cases, the procedure produces a fair amount of swelling and pain due to the use to anchor the repaired ligament to the bone. The patient should plan to use a lot of ice and pain medication will be prescribed for the initial post op time period. Driving: Returning to the driver’s seat is determined in part by which leg is involved, if the transmission is automatic, and if the patient has quit taking narcotics. The doctor ultimately determines when patient is ready to drive. The patient is usually able to resume driving within the first couple of weeks following the surgery. Work: The return to work is dependent of the physical demands of the patient’s job. Most patients can return to some form of limited duty work within a few days. If the job is physically demanding, the patient might not return to full duty work for up to 3 months or longer. Sleeping: Most patients don’t have difficulty sleeping within a day or two of the surgery. It is recommended to elevate the involved leg for the first 72 hours when the patient is sleeping to aid in the reduction of swelling. Physical Therapy: Formal Physical Therapy can begin immediately. Start time will be determined by the doctor. The initial phase (weeks 1-3) is dedicated to reducing pain and swelling. The motion will be limited to less than 90 degrees of flexion. The second phase (weeks 3-8) is a transition from non and partial weight bearing to full weight bearing. The activity level will rise and a lot of the exercises might be performed in the brace. The motion will slowly be progressed to regain flexion (greater than 135 degrees). The final phase of therapy (weeks 8 – 16 or longer) is the time period that focuses primarily on regaining full strength, proprioception and muscular endurance throughout the core and lower extremities. The MFPL is needed to stabilize the patella within the trochlear groove during knee motion. The absence of this ligament can lead to abnormal motion of the patella and cause pain and instability within the joint. If a sound therapeutic exercise routine does not provide dynamic control of the patella, the MFPL might have to be surgically repaired or reconstructed. Following surgery, a sound rehabilitation program designed by a Physical Therapist will help the patient to return to their pre-injury lifestyle.